Don’t let the capitalization throw you: whether talking about the “Word” or the “sacraments,” Hunsinger will finally refer them both to Jesus Christ as their “dimension of depth,” to steal a phrase that Hunsinger in turn stole from TF Torrance. In other words, both Word and Sacrament refer first and foremost to Jesus Christ: he is their basic form. There are then derivative forms - Scripture and preaching, on the one hand; baptism and eucharist, on the other – with their own intersecting relations and orderings. Word and Sacrament, for Hunsinger, do the same things (self-witness / self-impartation) albeit with different emphases and in different aspects. There would seem to be an asymmetrical ordering of these two activities of Jesus Christ in which Word and Sacrament are instruments, namely, self-witness and self-impartation. While we would certainly not want to separate them from each other – every act of self-witness is also an act of self-impartation, and vice-versa – Jesus Christ’s self-witness must be basic. Calvin’s doctrine of union with Christ suggests this, for instance. For Calvin (cf. Institutes, 3.1) the way in which the Holy Spirit unites us with Christ (self-impartation) is through awakening us to faith - which Calvin later defines as a sure and certain knowledge of God's benevolence to us (Ibid, 3.2.7; self-witness). While this knowledge is clearly embodied - that is, not intellectual in a reductive sense - it is still fundamentally knowledge as opposed to experience, feeling, or some other designation. As a parallel to this, there is a fundamental and asymmetrical distinction – I would argue – between the way in which the church is a creature of the Word (“called into being”) and the way in which it is a creature of the sacraments (“founded” and “nourished”). The former is basic to the latter, establishing the church’s existence which is then built up by the sacraments. I’m optimistic that Hunsinger would agree with me (who knows, he may even stop by), although I’m sure he would have his own modes of analysis – even though I’ve self-consciously adopted a number of his usual analytic tools in my above glosses. This is a good elucidation, Travis, thanks! Thank you, Travis. This is a good statement of my current views. I would add only one point. One of the things I learned in writing my book is that there does indeed seem to be something the eucharist does which the proclaimed Word does not do. The eucharist makes Christ's sacrifice sacramentally present in a way that the Word does not. In the eucharist Christ's sacrifice becomes present in a way that incorporates the communicants into it. I call this incorporation the "upward vector." The sacrifice of the faithful in the eucharist is, as the Reformation rightly taught, a sacrifice of thanks and praise. But this sacrifice cannot be merely verbal. It is necessarily an offering of one's whole self. Furthermore, this self-offering of the faithful as whole persons cannot possibly be unmediated. It occurs only through the mediation of Christ. In the eucharist, the person of the risen and ascended Christ makes himself sacramentally present in his saving sacrifice in order to incorporate the faithful into his self-offering to the Father. His once-for-all sacrifice on Calvary is eternal and perpetual in its efficacy, and is made available ever anew in each eucharistic celebration. The self-offering of the faithful in thanks and praise is incorporated into Christ and his self-offering to the Father, for their sakes and in their place. Their self-offering is sanctified and made one with his. I don't see any direct parallel here with the proclamation of the Word. Whereas Christ is always the hidden prophet whenever his name is rightly proclaimed, he is not only the prophet but also the hidden priest in and through the celebration of the eucharist. While I would not banish Christ's priestly function entirely from a proper understanding of what happens when the Word is proclaimed, the priestly role of Christ seems to be uniquely applied and actualized in the eucharist in a way that is unparalleled in proclamation. If this account makes sense, then it carries ecumenical significance. Kilian McDonnell, for example, in his fine book on Calvin's view of the eucharist, expressed perplexity at this point. As a Roman Catholic he expected there to be a differentia specifica between the Word and the eucharist. I now think he was right about that. While it is true that in some sense the eucharist is a form of the Word, in another sense it is also more than that as a sacramental re-representation of Christ's self-offering to the Father. 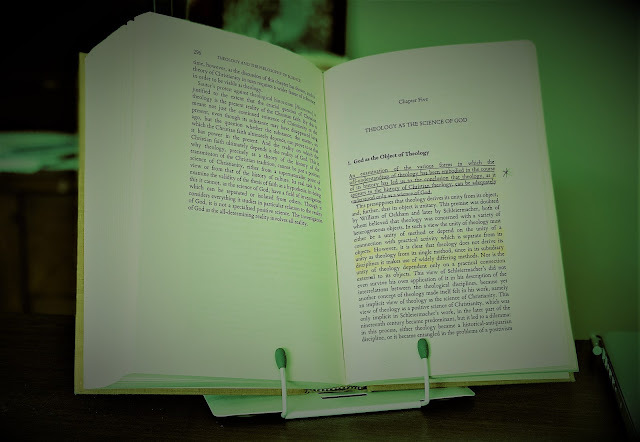 If I understand the broad strokes of your comment correctly, you perceive the relation of Word and Sacrament (Eucharist, here) as overlapping circles where much the same work is accomplished by each but there remains something irreducible. With reference to the Eucharist, you identify this irreducible element with the priestly function of Christ who incorporates the offering of sacrifice and praise of the faithful into his own self-offering to the Father. My question about this has to do with whether the distinction ought to be located in particular content, or whether in mode. Here is what I mean. Let’s schematize the church’s activity into proclamation / word, sacrament, and discipline. Christ in his three-fold office is certainly active in each of these realms of activity, but in each realm a particular one of these three offices is predominant: prophet, priest, and king, respectively. While each office is involved in each realm of activity, there is an ordering. Such a conception would push not toward recognizing something irreducible in the Eucharist in terms of unique content or function, etc., for each realm of activity would involve Christ in the fullness of his three-fold office. But, there is a difference in mode. Christ exercises his offices in the distinct modes of proclamation, sacrament, and discipline. So, there would be a sense in which Christ operates as priest in a proclamatory, sacramental, and disciplinary mode, while taking pre-eminence among the other offices in the sacramental. The other side of this discussion would, I think, have to do with how it is that we ought to understand the church in its ministry of service to these three offices. It seems to me that it is primarily through being given a share in Christ’s prophetic office that the church has a share in the priestly and kingly, that is, there is an ordering in these modes that moves from proclamation through sacraments and to discipline. Thoughts from you (and others) most welcome! So, there would be a sense in which Christ operates as priest in a proclamatory, sacramental, and disciplinary mode, while taking pre-eminence among the other offices in the sacramental. I think these are fine observations. There is only one Jesus Christ, and it would be a mistake to divide him into pieces. As far as I know, however, no one has ever ascribed a priestly function (in the sense of a priestly mediation from earth to heaven) to proclamation, but the Reformation did ascribe a prophetic function (rightly in my view) to the Lord's Supper. Discipline may well be a royal function, but there would be more to Christ's royal office, in and through the church, than that. Nevertheless, it would be odd to ascribe any directly priestly or even prophetic aspects to discipline. They may be there somehow, but only very remotely. In the same way the priestly aspect of proclamation, in the relevant sense, would also seem to be very remote. But the priestly and prophetic aspects of the eucharist are not remote. Both are essential to the eucharist, and it would be hard to think of any ecclesial activity of the present Christ that it would make sense to regard in terms of his priestly mediation other than baptism and the eucharist. On a more formal note, if it is always the whole Christ in each particular mode, then it would seem that looking for ways in which certain of the offices have been neglected in the various modes would be a fruitful avenue for new inquiry. The Reformed, as you note, saw more than one office active in at least one of the modes – maybe we just need to probe deeper and carry that insight further. 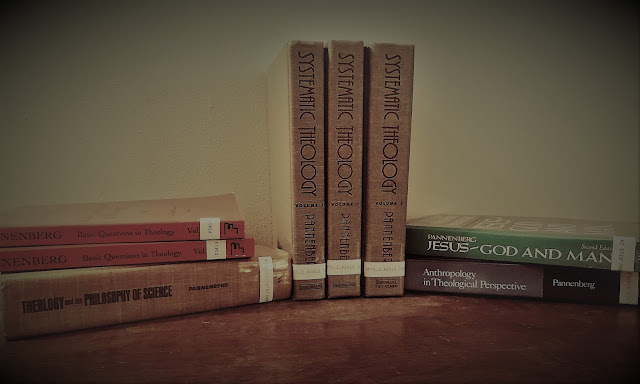 I’m also making something of an intuitive connection between revelation / justification / sanctification and prophet / priest / king, at least in terms of emphasis. Maybe that’s not the best connection. Maybe we could make an incarnation / crucifixion / resurrection connection as well. Just to address a couple of your more material points. On the priestly aspect of proclamation: if our knowledge of God is participation in God’s self-knowledge by means of the human form it takes in Jesus Christ, there would seem to be a significant aspect of self-impartation (priestly) here to go along with self-witness (prophetic). Or am I getting over-schematic in how I treat the offices? I guess the basic intuition that I’m working from is that, in every case, we have something that happens first objectively in Jesus Christ (priestly), is proclaimed (prophetic), and is actualized in our own lives (kingly). Or am I getting over-schematic in how I treat the offices? There is a danger of being overly schematic. In CD vol. IV, Barth, however, lined things out as: priest/king/prophet in relation to justification/sanctification/vocation. The correlation of priest with justification, however, did not work well, since justification is clearly a forensic not a cultic term. Although his fine print section on cultic themes in IV/1, 274-83 is certainly brilliant, I regret that he did not give more prominence to the cultic aspect, as his initial indication that he was going to connect IV/1 with the priestly office led us to expect. I see the marginalization of priestly and cultic themes as a defect in Barth's theology, and I think it is not unrelated to the shortcomings in his ecclesiology and his view of the sacraments. To find a better account in Reformed theology we have to turn to Torrance as well as looking back to John Owen. It is Christ's body and blood that are made available to us in sacramental form in the eucharist. This does not happen in proclamation, sanctification, vocation, or elsewhere in any comparable way. Christ always joins himself to us, and us to himself, by means of his body and blood. This happens uniquely in the eucharist. Christ's "objective" work of salvation needs to be looked at as both priestly and royal. He is the expiation for our sins even as he is God's victory over death and the things that make for death. Christ's "subjective" work of salvation in and among us takes place in the Spirit through Word and sacrament. Proclamation is primarily a prophetic work attesting what Christ has done apart from us in his priestly and royal offices. That is why we can be "co-workers" (synergoi) with his in his prophetic office in a way that we just can't in his unique priestly and royal offices. The priestly and royal aspects of the church's work are essentially prophetic in their force. That is, what they primarily do is to attest Jesus Christ in his irreducible uniqueness. In my book I try to work these relations out by saying that there is always only one saving agent, regardless of whether we are looking at the perfect tense, the present tense or the future tense of salvation, but that along with the one saving agent there can also be (and actually are) other acting subjects. The acting subjects are auxilliaries and heralds appointed by God, but they contribute nothing to the effecting of salvation. They do not infringe uon the exclusive uniqueness of Christ in his priestly and royal saving work. The priestly and royal aspects of the church's work are essentially prophetic in their force. I like this very much. Could it accurately be rephrased as follows? - The church participates in Christ’s priestly and royal offices only by means of its participation in his prophetic office. This I think would fit in very well with Barth’s discussion of the beneficia Christi in 4.3.2. The vector language is very helpful. Correct me if I’m wrong: the royal office is the downward vector, the priestly office is the upward vector, and the prophetic office is the union of the two or, perhaps better, the two in their totality? Your saving agent and acting subject material is, I think, very helpful, and lines up nicely with what Barth says in the opening section of CD 4.4 concerning the way in which the church can act as “servant” and “minister” (this language abounds through CD when such matters come up for discussion, as you know) of the Holy Spirit with reference to Spirit baptism. As for your reading of CD 4.1, you have certainly spent a lot more time pouring over it than I have. However, as I believe we have discussed (and is in a paper of mine that you have seen, in any case) and I suspect that you agree, it seems to me that the fundamentally cultic and therefore priestly concept of “wondrous exchange” is the depth grammar of Barth’s doctrine of atonement. It further seems to me that he could have been far clearer about this. Thank you for this thoughtful reply. Unfortunately I'm going to have to break off after this comment. 1. I think it would be better not to think so directly in terms of participation in Christ's offices. It's a matter of participatio Christi under various aspects (prophetic, royal, priestly). 2. It seems to me that the movement in both the royal office and the prophetic office is from above to below, from heaven to earth. The kings of israel reigned (or should have reigned) as God's instruments of governance. Likewise, the prophets of Israel delivered the divine word from on high: "Thus says the Lord ..." I don't see the prophet qua prophet as an intercessor, even though prophets sometimes assumed that role (e.g. Moses). Sometimes when a king tried to offer sacrifice, he was condemned for it (e.g., Samuel). But there was a lot of variation with no absolute purity of roles. Howeve, while the crossovers of roles in the OT stories are fascinating, the general outlines of the three offices seem clear enough. Although Barth placed great emphasis on witness, he also made use of the idea of mediation. I would see witness as primarily a matter of correspondence but mediation as involving some form of coinherence. Not until the very end of the CD (mainly in IV/3 when discussing Vocation) did Barth start to make much explicit use of the idea of coinherence between the activity of Christ and the faithful. I think, however, that the idea of coinherence is implicit in his ideas of being "in Christ," of participatio Christi and of Gemeinschaft (fellowship, communion, mutual indwelling). The preposition that goes with " witness" is to, whereas the preposition that goes with "mediation" is through. Witness is a matter of correspondence; mediation, of coinherence. Both the preacher and the presiding minister in the sacrament can be seen as exercising a mediating role (along with being a witness). I like Aquinas's idea that Christ is the hidden priest. The idea is suggestive. If Christ is the hidden prophet in preaching, as well as the hidden priest in the sacrament, we could say that (i) Christ proclaims the Gospel through the preacher even as the preacher proclaims the Gospel through Christ. This coinherence would not be at the expense of bearing witness but would be an accompanying aspect of correspondence. Nor would it be at the expense of the essential asymmetry between Christ as Lord and the preacher as servant. Likewise we could say that (ii) Christ consecrates the Holy Gifts through the actions of the eucharistic priest even as the priest consecrates them through Christ. Again, we would have mediation and coinherence, as suggested by the preposition through, and again we would have the essential asymmetry. In both preaching and sacramental consecration, Christ the Lord would be seen as the sole saving agent, whereas the human minister would simply be an acting subject in His hands, thus no more (but no less) than an instrument, a means, a herald, in the service of Christ.